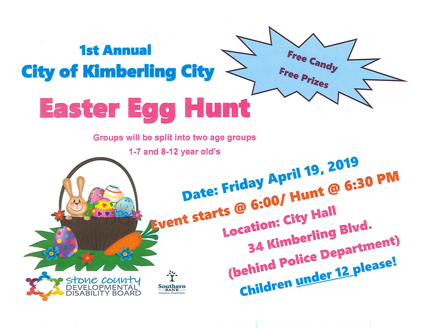 The city of Kimberling City will host the 1st annual Easter egg hunt April 19th. There will be free candy and prizes, and vendors. Event begins at 6pm / Hunt @ 6:30pm.